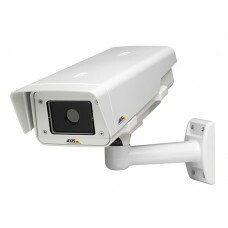 AXIS Q1921-E outdoor-ready thermal network camera is a perfect complement to any network video system that needs to secure an area 24 hours a day. The camera uses thermal imaging, which allows users to detect people, objects and incidents in complete darkness and difficult conditions such as smoke, haze, dust and light fog. It comes with a built-in heater for the window. It's ideal for cost efficient 24/7 area or perimeter surveillance of all security applications such as roads, tunnels and airports. With multiple lens alternatives, AXIS Q1921-E can optimize detection performance to meet most application requirements.